Dr Chris Cooper is a Postdoctoral Research Fellow within the School of Biological Sciences where he is currently completing a project which examines the use of exogenous enzymes for mashing with unmalted barley, malt and a rice adjunct. His previous work in understanding the precursor biochemistry of flavour and aroma compounds has led to substantial yield improvements for industry. He has a diverse background which brings an ability to work innovatively across disciplines. This is supported by a research background in science and an effective working knowledge in the arts and humanities with the capacity to develop creative approaches for research activities. Dr. Chris Cooper has a PhD in agriculture science and an interest in issues relating to sustainability including through the use of chemistry and enzymatic processes for food and beverage production. 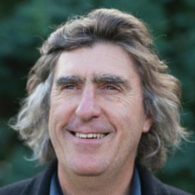 This multidisciplinary approach has been supported by a range of related work experiences including as a consultant in research and evaluation, work in a hospital setting, the Founder and Director of a community arts / science organisation and as a UTAS based research fellow where he has worked in close association with agricultural industries. His research background has spanned agriculture, food and beverage production, pharmacology, microbiology, the development of monitoring programs for agricultural pesticide use, and the production of high value extracts from agricultural waste. In the consultancy sector his projects have included the mode of action of natural product biocides for Eden Research Plc. ; and, mental health and adversity in rural and remote areas, indigenous financial literacy for remote communities, and a model of care based synthesis of arthritis research for Susan J Garner and Associates. His experience in the education and community sectors has included the development of innovative community processes for science and climate change education. The Founder and Director (2002 - 2008) of a not-for-profit organisation, The Mountain Festival, which linked arts, science and education through an exploration of sense of place in Southern Tasmania. This included the development of innovative community processes for science and climate change education. Activities within the overall program included collaborations with UTAS academics. Dr. Cooper's teaching background includes science education in Tasmanian Schools and Colleges. At UTAS he has been employed as a research academic. Dr Chris Cooper has a multidisciplinary background combined with an intellectual and academic focus that relates to the interface between science and society. His diverse background brings an ability to work innovatively across disciplines. His research background has spanned innovative approaches to brewing, the production of high value extracts from agricultural waste, the development of monitoring programs for agricultural pesticide use, pharmacology, microbiology. Chris has worked on research review/evaluation/policy projects relating to mental health and adversity in rural and remote areas, indigenous financial literacy for remote communities, and a model of care based synthesis of arthritis research. Over the last decade he has developed knowledge bases in diverse areas including post-harvest processing of plant crops, the biochemistry of beer production, alternative energy systems for agricultural enterprises, community based sense of place theory and practice, and participatory action research processes. Chris' current research aligns with University's Environment, Resources and Sustainability research theme. Development of more detailed knowledge concerning the biological mechanisms that underpin post-harvest agricultural processes will allow better decision making for the use of agricultural resources. Previous work in the non-profit sector relates to the theme of Creativity, Culture and Society. In 2010, Dr Cooper collaborated with Dr Cherie Motti at the Australian Institute of Marine Science in order to undertake the NMR based identification of glycosides of the Australian flowering plant Boronia megastigma. Dr. Cooper is currently in the process of completing an investigation into the wort quality impact of exogenous enzymes combined with unmalted barley, malt and a rice adjunct in the mashing process. He is currently working with colleagues to develop a new proposal to examine the understanding of the importance of flavour precursors, including glycosides, in malted barley for the development of new flavour paradigms for the brewing industry.